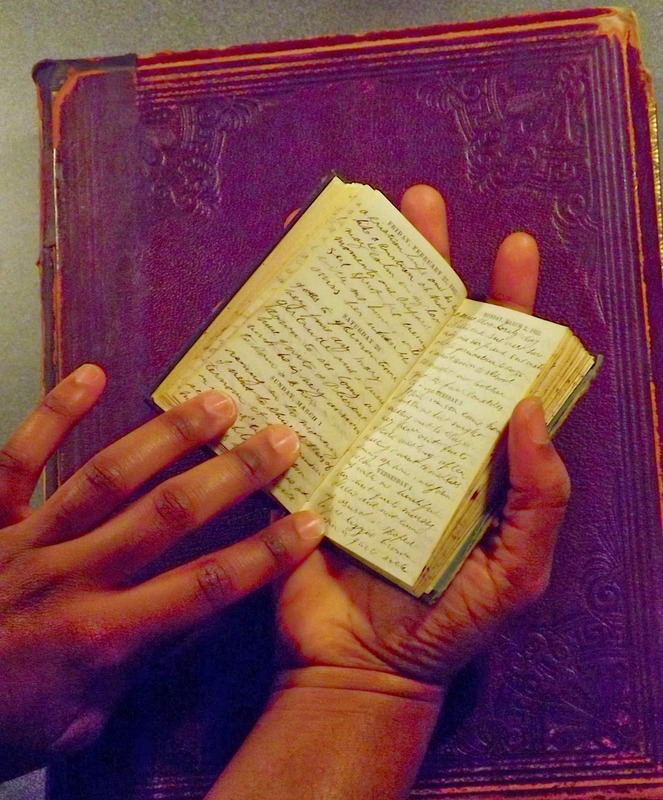 Memorable Days: The Emilie Davis Diaries commemorates the 150th anniversary of the Civil War by sharing the remarkable diaries kept by an African American woman in Philadelphia from 1863 to 1865. Through this Web site, which includes annotated transcriptions of the diaries and scans of the original pages, readers can experience the events in Emilie Davis’s life in real time. Going back 150 years to October-November 1863, for example, readers learn that Davis’s brother, Alfred, enlisted in the U.S. Navy just days before his wife, Mary, died of consumption. Readers can navigate the Web site by date or by keyword. Topics include the Emancipation Proclamation, the Battle of Gettysburg and the Gettysburg Address, and the assassination of President Abraham Lincoln. The Web site is a project of Villanova University and its Falvey Memorial Library, with support from the History Department, the Communication Department, and the Villanova Institute for Teaching and Learning. 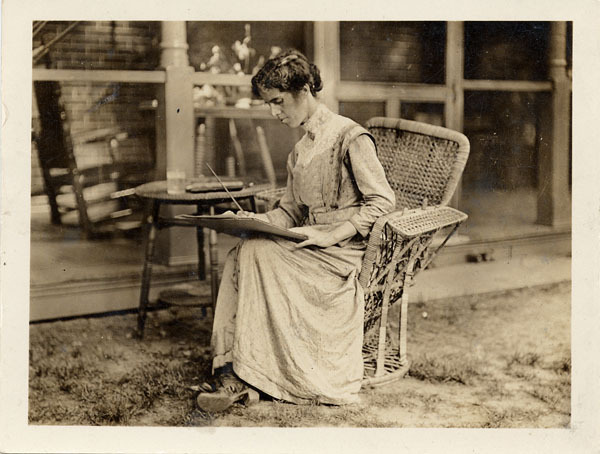 The diaries are in the collection of the Historical Society of Pennsylvania and are accessible in its Digital Library. They were scanned as part of The People’s Contest: A Civil War Era Digital Archiving Project, a project of Pennsylvania State University Libraries and the George and Ann Richards Civil War Era Center. Leaving Europe: A New Life in America, the first joint virtual exhibit from Europeana and the Digital Public Library of America, includes more than 100 photographs, manuscripts, broadsheets, paintings, government documents, and other sources. This exhibition tells the stories of more than 30 women, men, and children who found themselves at the gateways to America between 1880 and 1945. The Summer 2012 issue of Prologue provides an illustrated overview of the exhibit. 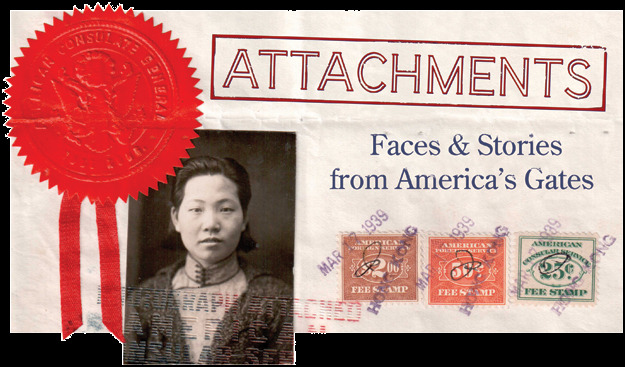 The brief video of the Attachments Exhibit Preview includes comments by Archivist of the United States David S. Ferriero, curator Bruce Bustard, historian Erika Lee, and Michael Pupa, the only living person featured in the exhibition. Ferriero speaks of the multiple meanings of "attachments." Lee, whose grandparents are featured in the exhibit, is the coauthor (with Judy Yung) of Angel Island: Immigrant Gateway to America (Oxford University Press, 2010). Check out the Call for Papers for the Women's History in the Digital World conference to be held at Bryn Mawr College, March 22-23, 2013. The keynote speaker will be Laura Mandell, Director of the Initiative for Digital Humanities, Media, and Culture, and Professor of English at Texas A&M. Marian Anderson addresses the issues of prejudice and segregation in this 1957 Books and Authors Luncheon appearance. Svetlana Alliluyeva, the daughter of Joseph Stalin, replies to questions by the New York press after leaving the Soviet Union. Rachel Carson, 1951 - Carson's speech at the New York Herald Tribune's Books and Authors Luncheon focused on her book, The Sea Around Us. Overseas Press Club, Dickey Chapelle, 1964 Chapelle, a pioneering photojournalist who received the Award for Gallantry in News Coverage from the Overseas Press Club in 1964, was killed in 1965 by a land mine while covering the Vietnam War. The Wisconsin Historical Society offers an online collection of more than 400 or Chapelle's photographs from World War II, Algiers, Cuba, and Vietnam. Eleanor Roosevelt tribute (1962) Friends of Eleanor Roosevelt shared their memories just three days after her death. 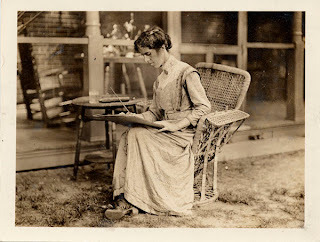 Emma Bell Miles (1879-1919) was a naturalist, artist, and writer. This digital collection features photographs of Miles and her family, samples of her artwork, and an excerpt from her personal journal. The Emma Bell Miles Symposium on Appalachian Culture & Nature was hosted by the UTC Lupton Library and the UTC Department of English. September 2011). The symposium site includes videos of presentations, interactive maps of Chattanooga sites relevant to Emma Bell Miles, and additional resources. The Spirit of the Mountains and Our Southern Birds are available on the Internet Archive. A facsimile edition of The Spirit of the Mountains, with a forward by Roger D. Abrahams and an introduction by David E. Whisnant, was published by the University of Tennessee Press in 1975. A really nice new feature is that RSS feeds alert users to new records in the database. Users can view these on the website and/or subscribe to the RSS feed. *Descriptions/links to more than 600 digital collections of primary sources. This previous version has fewer features, about 60 fewer records, and will be replaced with an automatic link to the new site in another month or so. Please email me (ken.middlet@gmail.com) if you know of relevant digital collections that are not covered in the database, or of other ways to improve the site. The C-SPAN Video Library offers a wealth of programs that feature historians, archivists, and curators.